Bus route 562 will continue to be diverted in Viertola, Vantaa until 18 June 2017. The bus was supposed to resume its normal route at the beginning of December but the street works on Peltolantie are not completed. 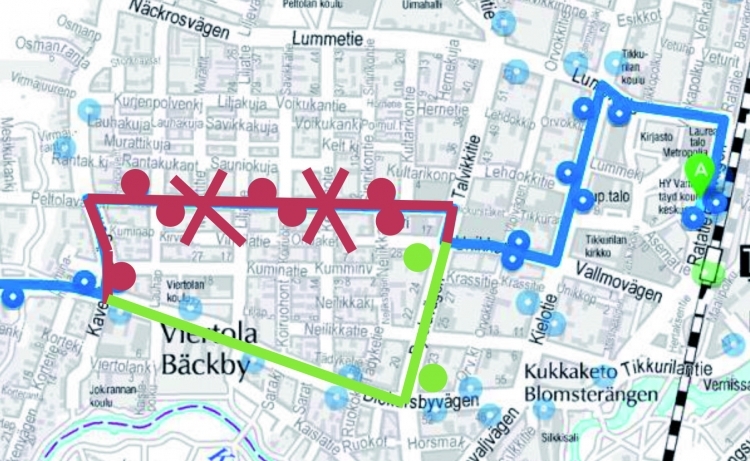 The bus does not run along Peltolantie but is diverted to run via Talvikkitie and Tikkurilantie. The bus serves all stops along Tikkurilantie as well as temporary stops along Talvikkitie.